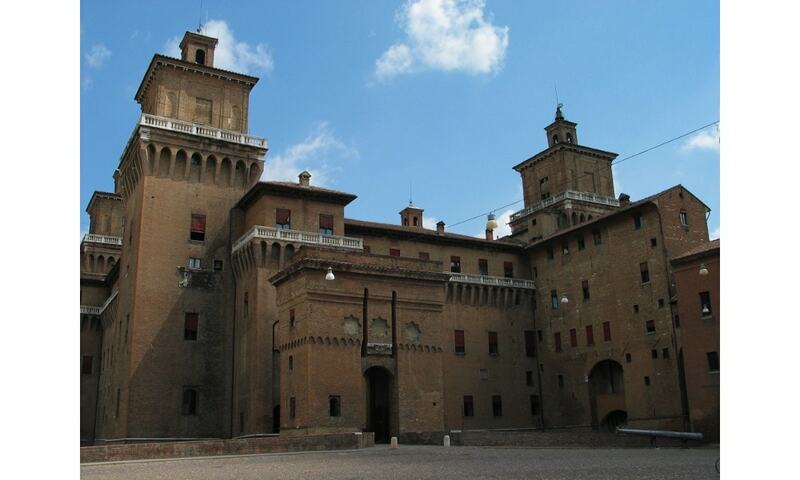 The Castello Estense or castello di San Michele is a moated medieval castle in the center of Ferrara, northern Italy. It is a large block with four corner towers. The castle was built in the 14th century by the Marquis Niccolo II d'Este when a riot of the Ferrarese people convinced him that the family's palace was insufficient to guarantee the security of the nobility in the event of future riots. He therefore ordered the construction of a defensive fortress on the north side of the Palazzo. In 1919 when the First World War ended, an ambitious restoration project was started that had been under discussion since 1916.